These days Motorola is strictly an Android operation, but a decade ago it flirted with both Windows and Symbian. 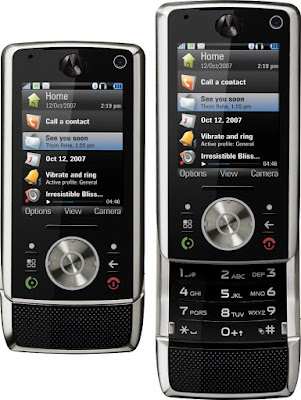 The Motorola RIZR Z10 was one of just a half dozen Symbian phones (along with the Z8, A920, A925, A1000 and the unreleased A1010) running the UIQ version of the operating system. The Z10 was in many ways a very typical Motorola phone - most of the hardware was rather good, but the implementation of the software rather less so. UIQ was primarily a Sony Ericsson product, designed in part to be a touchscreen version of Symbian that ran on their own phones. When ported to the non-touch Z8 and Z10 it seemed that Motorola's engineers just couldn't get it right and usability and stability issues followed. Coming a full year after the announcement of the iPhone, the RIZR Z10 was a "kick slide" phone that curved around the user's face. The 2.2" QVGA display wasn't even big for 2008, and the iPhone's 3.5" touchscreen and N95's 2.8" panel were much more usable. Even though it was a high-end phone in Motorola's line-up, it lacked WiFi and only supported one HSDPA band. Although the RIZR Z10 clearly followed the flawed RIZR Z8, many of the features seemed a step back from the touchscreen A1000. But this wasn't really a traditional Motorola product as much of the engineering for the Z8 and Z10 had been done by former Sendo engineers, a British company that had been taken over by Motorola and which had previously designed the Sendo X and X2 which are rather more like the Z10 in terms of implementation. 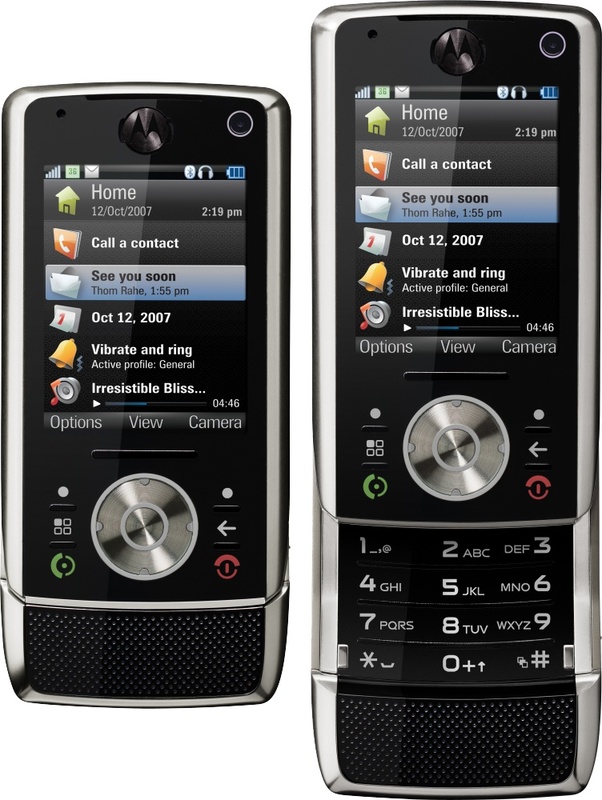 The RIZR Z10 wasn’t the success that Motorola hoped for, and this was their final Symbian-based smartphone. Motorola continued plugging away at the smartphone market, and in addition to Windows it brought out a series of devices running a version of Montavista’s embedded Linux along with some mid-range devices running the Linux-based MOTOMAGX platform. But none of these were a success either. It took a long time for Motorola to get smartphone devices right, but a decade later Motorola has established a successful niche with its Android smartphone range under new owners Lenovo. If you are a collector of obscure Symbian devices, then unfortunately the Z10 is a rather elusive thing to find these days.